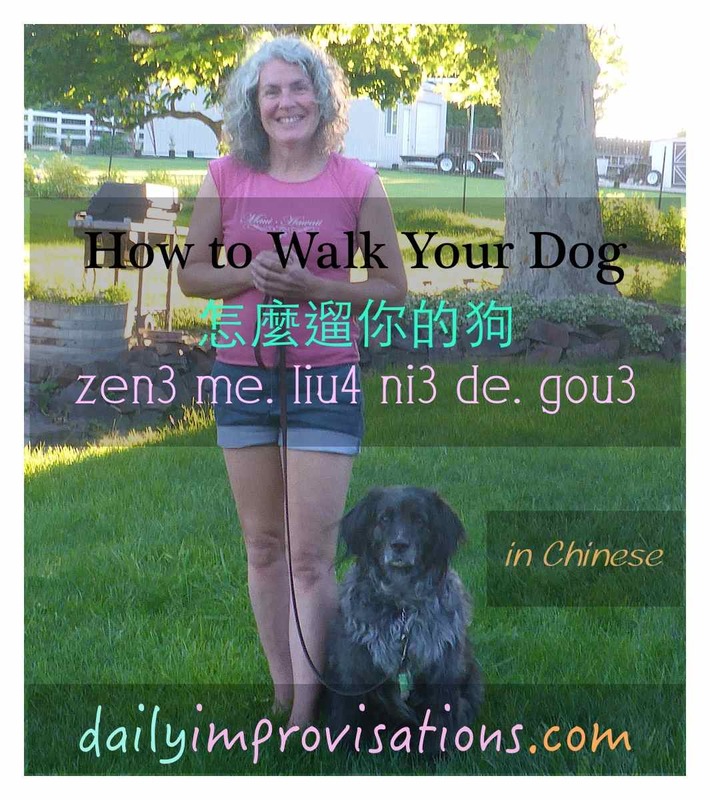 Chinese history has shaped the particular phrase used for walking the dog. 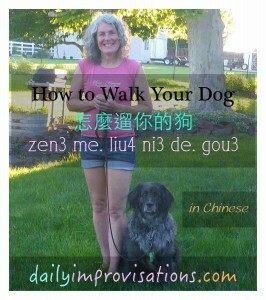 How to walk your dog. Having dogs as pets is a fairly recent phenomena in Taiwan. 50 years ago, people in Taiwan were comparatively poor. There was no extra time or money. Not many people had pets. In the country, some of them had cows. Sometimes they needed to lead the cows to eat grass. some wealthy people would stroll displaying their birds in cages. That is, of course, if the dog is big enough. (we) (to live) (at) (Taiwan) (when), (I) (saw) (very many) (very small) (dog) (at) (purse) (in). When we lived in Taiwan, I saw many small dogs in purses! (walk dog) (or) (walk bird) (actually, in fact) (to be/is) (the same). strolling about with the dog or strolling about with the bird really are actually are the same. (dao4 di3) (shi4) (shei2) (liu4) (shei2)? Who is actually walking whom? 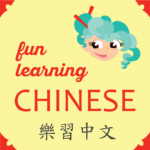 ❶ The two characters 遛 and 溜 (liu4 in pinyin) are used interchangeably to mean “walk the dog or bird” in this way, both using the 4th tone. ❷ The English word “things” is translated as 東西 (dong1 xi1) when speaking of concrete objects, but as 事情 (shi4 qing2) when referring to activities or tasks. ❹ In Chinese, there is no distinction between pronouns used as the subject and those used as the object in the sentence; hence, 我 (wo3) is translated both I and me，他 (ta1) means both he and him，and 誰 (shei2) is used for who and whom.